Quality is our utmost priority and we follow our quality assurance policy at each stage of the production process. We make use of quality raw-material, which are procured from reliable vendors. The quality control management of our organization has initiated various testing procedures for our range of industrial pipes and fittings. These procedures enable us to meet the requirement of international quality standards. Moreover, we carry out special test desired by our clients to offer quality product. The tests are certified by our quality control management. 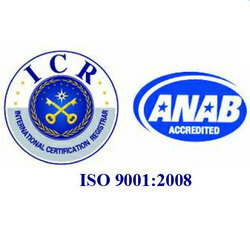 It is due to our adherence to international quality measures that we have been able to satisfy our reputed clients. To satisfy clients is our main concern and we delight our client with our quality range of industrial pipes and fittings. Our entire range is fabricated under the surveillance of experts to ensure flawless product. These industrial pipes and fittings are further undergoes various quality testing procedure to maintain quality. We follow professional approach in our organization to achieve maximum satisfaction of our esteemed customers. Our ability to understand their unique requirements and offer the same has made us a renowned name in the industry. Moreover, we provide customized solution, easy payment mode and delivered goods to clients based in African, European and Gulf countries within stipulate time period.